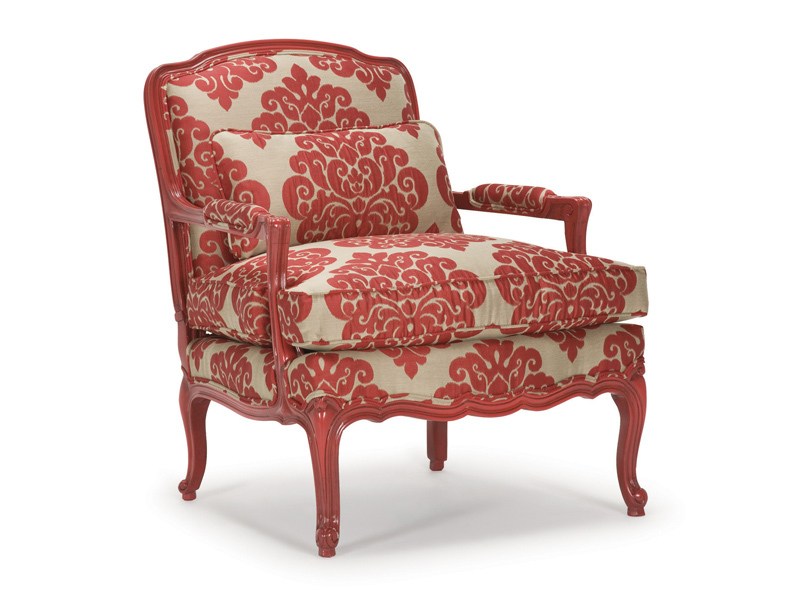 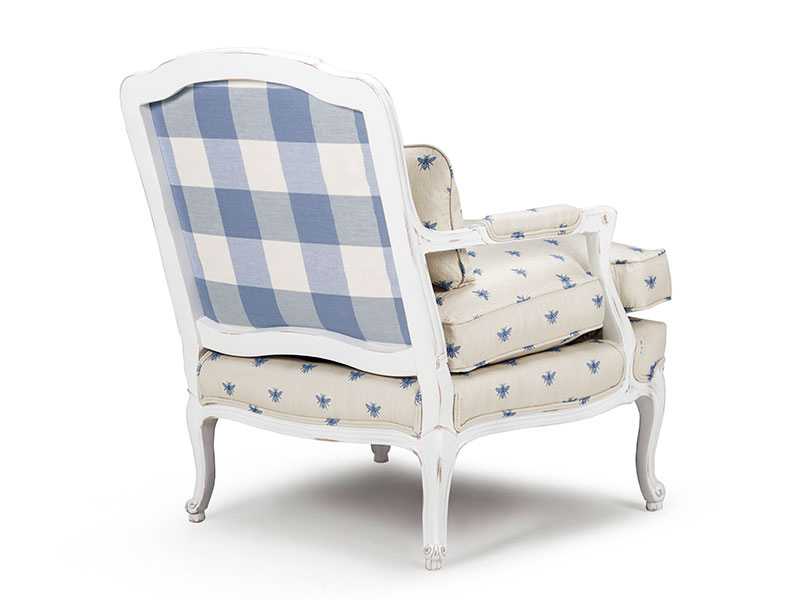 This Louis XV Versailles bergère is upholstered on a hand-carved hardwood frame made in Italy. 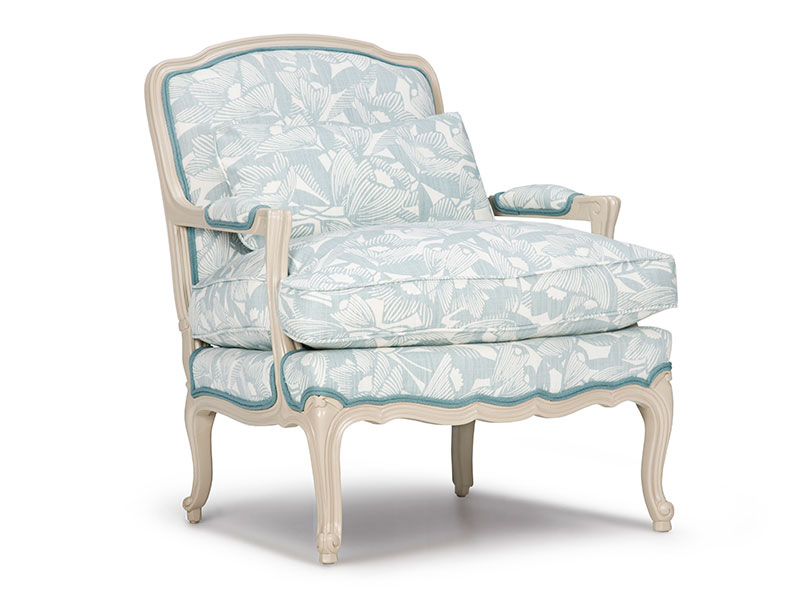 For comfort the seat cushion is luxurious Feathers Deluxe with an elegant lumbar pillow. 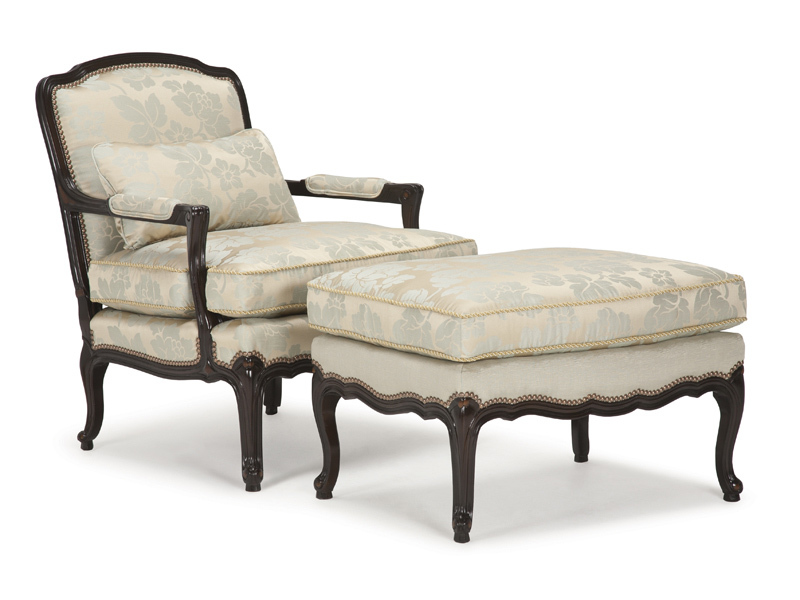 Bergères’ curvy lines integrate beautifully in both traditional and contemporary settings. 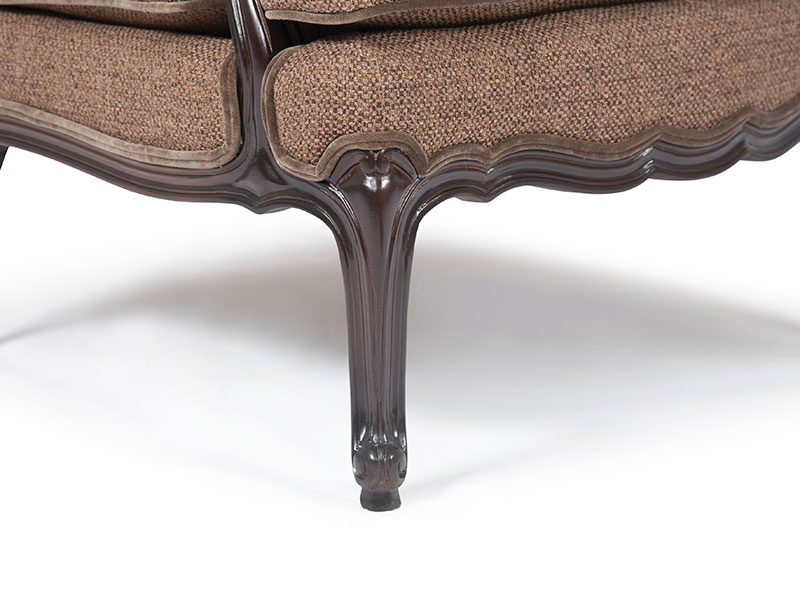 Matching ottoman (29" x 22" x 19") and hassock (29" x 22" x 16") available.